In a non-stick pan drizzle a tsp of oil and fry the paneer pieces on both sides for few minutes till both sides turn light brown color(you can use the paneer without frying as well, if fried a bit paneer pieces becomes little stiff and will not break easily while cooking). Set aside. Add crushed ginger-garlic and give it a stir for few seconds. Add in chopped onion, salt and stir till onion turn light brown. 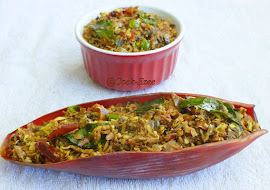 Add the turmeric powder, chilly powder and 1 tbsp coriander leaves and saute for a minute. Pour the tomato puree and add green peas. Stir to mix, cover and cook for around five minutes till green peas become soft and is half cooked. Add the paneer pieces, stir, cover it and cook for another three-five minutes. Pour the cream and switch off the flame. Stir gently to mix(don't boil it again). Add more chopped coriander leaves if desired. 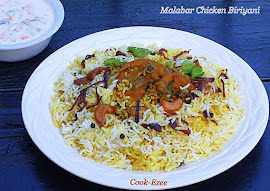 Move to a serving dish and Serve warm preferably with Roti/Naan or boiled rice. 1. You can use 2 tbsp thick yogurt if you want matar panner little bit sour, since I used tomato puree I felt my gravy was sour enough. 2. You can add 1 tbsp lime juice as well at the end if desired but I prefer it this way. 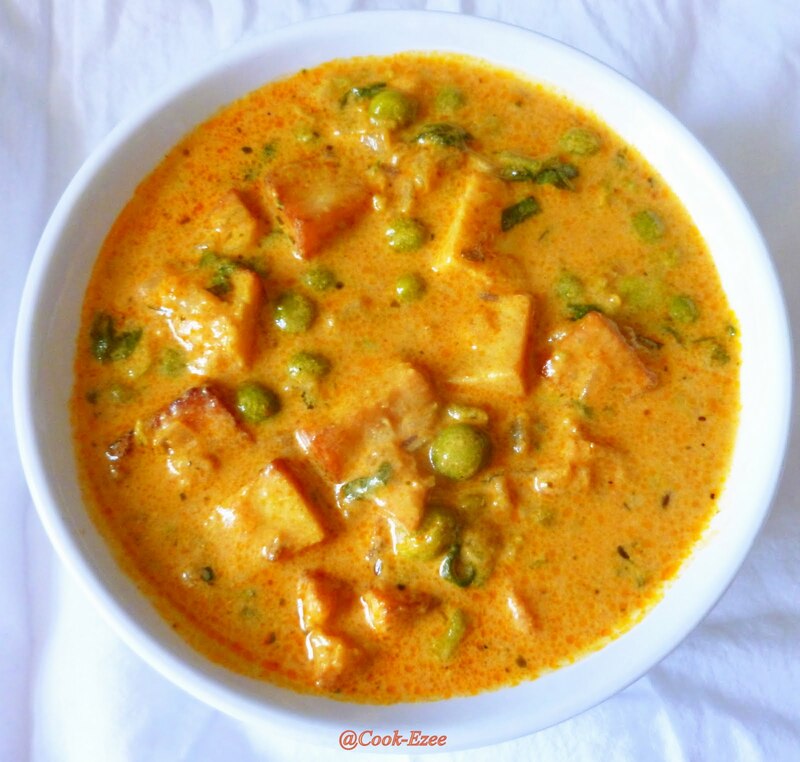 Anything with paneer i am in :) this looks so creamy and tempting...great with rotis! Delicious and creamy gravy..authentic one and perfect!! Looks so delicious and creamy,my paneer loving boy eats extra one roti with this one. Mattar greenpeas Curry luks yumm and mouthwatering.Luv it. 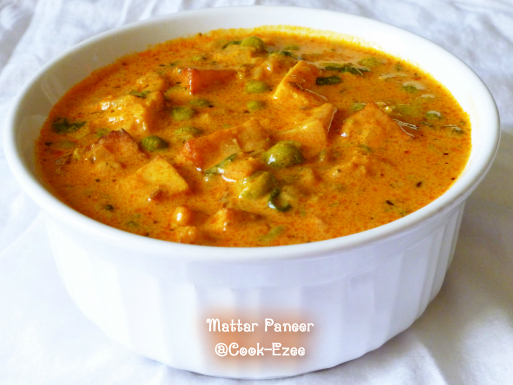 Cant take my eyes from ur super delicious mattar paneer,simply inviting. The gravy look rich , creamy and delicious! I can never get tired of eating paneer. we dont really use paneer in our food, but i've always wanted to ! i'll surely be trying this recipe ! 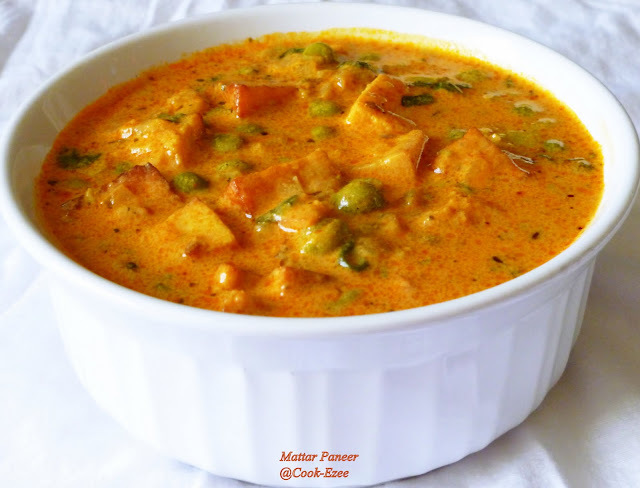 Nice creamy and wonderful paneer curry ! !